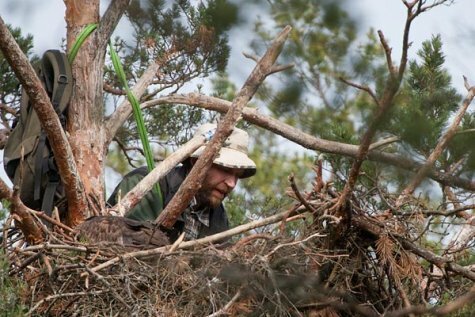 On November 17. at 18.30, the next Estonian Ornithological Society lecture evening will take place in Tartu, in the great auditorium of the Baer House at Veski 4. In studies of bird ecology new methods have increasingly been adopted that allow us to monitor the behaviour of the birds without disturbing them. Two basic types - automatic and web cameras that allow us to follow the doings of the birds in real time, and so called trail cameras that react on movements of the birds - have turned a new leaf in the knowledge of Estonia’s large forest birds. Camera-aided studies from recent years of the nesting biology of raptors and the results of them will be introduced in the lecture. All are offered tea and good company!